Why buy printed porcelain mugs? 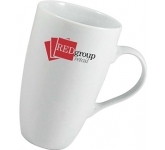 Take advantage of elegant branded porcelain mugs! There is nothing better than a steaming hot cup of tea. Or a cold one, if that's your thing. And even though the love of tea that the Brits have has been exaggerated and made fun of by many, we really can't deny it, can we? We love tea! In fact, some offices have a tea spreadsheet in their kitchens, so that no matter who's making the cuppa, they can make a perfect one for everyone. Now, while it's true that it's all about the tea, we can't dismiss the coffee drinkers. They are a minority, but they have the strength in numbers as well. Coffee drinkers might be even more particular about the way they have their coffee. However, while that's all well and good, you're probably wondering by now, why should that matter to you? Well, while tea and coffee are crucial for most people, there's one more thing that they are particular about, mugs. People, especially office workers, love their mugs. Everyone has their own because people love to get attached to knick-knacks such as mugs. Some even use one mug for years! And that's your ideal way into the hearts and minds of a broad audience. When people get attached to a mug you gave them, they'll also get attached to your brand. You'll become part of their routine, something familiar and comforting. And we don't have to tell you of the positive effects that can have on your brand. 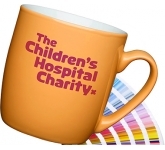 When we talk about how to effectively use promotional products, the best selling promotional mugs are sure winners in every way. They are cost effective, so they won't break your budget. Furthermore, they are excellent for raising brand awareness. When you invest in porcelain mugs, you're not aiming to raise brand awareness just with individuals. Quite the contrary, by using your mugs on a daily basis, people are advertising your brand to others every time they take a sip of their favourite coffee or tea! Ensure your brand stands out in a crowd! 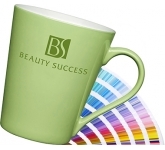 When you hand out branded porcelain mugs at trade shows, conferences, and other corporate events, there's a good chance that people will take them to their homes and offices because they are always handy to have. Furthermore, porcelain mugs come in a myriad of designs and colours. What's more, you can order any quantity that fits your branding needs. Large companies have made good use of porcelain mugs in the past, and with good reason. Why not make your brand one of them as well? You can make porcelain mugs very appealing to the eye. And when the mug catches someone's eye, the first thing they'll see is your brand's logo. Not to mention that porcelain mugs offer excellent levels of repeat exposure to brands. Also, they aren't niche-specific, so you can tie your brand to them no matter what your field of expertise is. Finally, porcelain mugs are great value for money items. 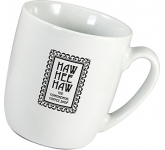 Your marketing strategy should always include promotional porcelain mugs. However, even if it doesn't, it's not too late to rectify that. Including these items in your strategy will prove quite useful without milking your budget dry. We offer a variety of printing options on our vast range of promotional plastic water bottles, ranging from screen printing right through to the very latest in UltraHD print technology allowing us to reproduce full colour images and logos to a standard most suppliers can only dream of. 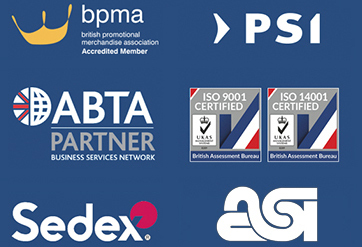 So, if you are looking for low cost, budget, value or cheap promotional porcelain mugs, and find the same mugs cheaper, with the same print specification and turnaround, just let us know and we will match the price and back it with our industry Award Winning Customer Service - that's our guarantee!! 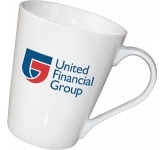 For additional information on our printed porcelain mugs or to find out how promotional mugs can help grow your business, why not contact us and have a chat to one of our dedicated account managers who will be happy to advise you further.